The 2019 Antipode American Association of Geographers Lecture was delivered by Prof. Kristin Ross on Thursday 4th April in Washington, DC. Geography as conceived by the practitioners and theorists who have been recurrent figures in my work (Reclus, Kropotkin, Gracq) is a means of approaching landscapes with a sensitivity to what state boundaries obscure: unexpected natural foundations and modes of life that spring up below the radar of authority. The occupational movement to block an international airport in western France known as the “zad” is one such landscape. Using the zad (zone à défendre) at Notre-Dame-des-Landes, the longest-lasting political battle in postwar French history, as a case study, I will consider a number of innovative practices reworked and lived by the inhabitants of the zad, in their continuing attempt to find new, distinct ways of merging life with combat. At the centre of my presentation will be the notion of the territory and the logics of difference, possibility, and autonomy it implies – the local, often rural construction of an autonomous zone, in secession from the state, which does not result in a closing in upon itself. What is a territory worth defending? What does it mean to defend a zone, or to work at creating – over time, and perhaps over a lifetime – a territory worthy of defence? How can a struggle whose particularity lies in being anchored in one place be extended to other territories? Kristin Ross is a Professor of Comparative Literature at New York University. After receiving a PhD in French and comparative literature from Yale University in 1981, she taught at the University of California, Santa Cruz before joining NYU in 1995. Her many honours and awards include a John Simon Guggenheim Fellowship (“for individuals who have already demonstrated exceptional capacity for productive scholarship”) and Fellowships from the Princeton Institute for Advanced Study and National Endowment for the Humanities. Among Prof. Ross’ numerous publications are four superb books on French politics and culture, all of which have been translated: Communal Luxury: The Political Imaginary of the Paris Commune (Verso, 2015); May ’68 and Its Afterlives (University of Chicago Press, 2002); Fast Cars, Clean Bodies: Decolonization and the Reordering of French Culture (MIT Press, 1995); and The Emergence of Social Space: Rimbaud and the Paris Commune (University of Minnesota Press, 1988). Her translation of the Mauvaise Troupe Collective’s The Zad and NoTAV: Territorial Struggles and the Making of a New Political Intelligence was published by Verso in 2018. It’s a book that should speak to a number of conversations ongoing in Antipode and the wider discipline. As Kristin’s preface, “Making a Territory”, explains, Mauvaise Troupe Collective (Collectif Mauvaise Troupe: https://mauvaisetroupe.org) offer an account of, and reflections on, two long-running struggles against “‘large, imposed, and useless’ infrastructural projects” (2018a: ix) – attempts to block the construction of an airport in France (since the late 1960s) and that of a high-speed train line in Italy (since 1991). In both cases, heterogeneous coalitions occupied space to delay, obstruct, and perhaps ultimately block construction or, as they see it, the destruction of a region. These are movements self-consciously defending place, something cherished by different people, for different reasons, coming together to conserve something with a value (or values) not recognised by the state and market. Both regions are seen by the state and market as a kind of terra nullius, as nobody’s land, or as land occupied by nobody worth worrying about, nothing worth preserving. As opposed to something lacking value, in need of appropriation and “development”, all kinds of folks are collectively calling for a re-appreciation of them as nothing less than “the ecological bases of life”, part of “the conditions for life on the planet” (Ross 2018a: ix). Land designated by the French state as a ZAD, a zone d’aménagement différé (“zone of deferred development”), is transvalued as a zone à défendre (“zone to defend”) – a territory in which “difference and possibility, autonomy and self-determination” (Ross 2018a: xviii) can flourish. Space the state considers private and seeks to make homogeneous is seized, taken up and taken on, rendered public and heterogeneous. “[G]eographically defined struggles have a kind of refreshing flat-footedness about them”, Ross (2018a: xiii) argues: they’re very “either/or”, boiling down to a choice for or against an airport, train line or whatever. In these sorts of struggles, very different people with very different interests are thrown together. In their pursuit of a common desire, they encounter difference, which is a threat, to be sure, but also an opportunity – that which makes success difficult, but also that which makes it possible. Ross (2018a: xxii) quotes the book’s authors: “holding diverse elements together” is about “tact” rather than “tactics”, “opening up the field” rather than “carving up the terrain”. Engaging with and learning from each other, sometimes complementing, sometimes contradicting, people come to depend on each other in a struggle for the commonweal, for “a way of life that lies at least partially outside of and against the state and the market” (Ross 2018a: xix). And this, for many radicals, is what place is (or ought to be) all about. To borrow Marx’s words from the Grundrisse, it’s “the concentration of many determinations … [the] unity of the diverse”. 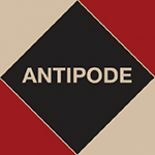 As an introduction to Prof. Ross’ 2019 Antipode AAG Lecture, we have made the following recent papers available to readers without a subscription. Together they reflect themes germane to her work, and will, we hope, offer a primer or further reading to her lecture. Many thanks from everyone at Antipode to Kristin for agreeing to join us in Washington, DC; to Elise Theodore for the Groovefest flyer and DJ Mod (aka Prof Kevin Ward) for the celebratory tunes; and to Wiley’s Puneet Bola-Moore and Bea Harvie for all their help with the lecture and virtual issue. Please note that we filmed the lecture and will soon be adding it to our Antipode Lecture Series archive for those who won’t be there. The AAG’s and RGS-IBG’s annual international conferences are widely seen as vital venues for the exchange of cutting-edge ideas–but they’re not, of course, the only ones. From 2018, the Lecture Series has been going on the road (starting at the conference of the New Zealand Geographical Society and Institute of Australian Geographers and continuing at RC21–Research Committee on Urban and Regional Development’s conference this year: https://rc21delhi2019.com), reaching out beyond the US and UK to maximise the diversity of those contributing to our community, and facilitating engagement with scholarship from hitherto under-represented groups, regions, countries and institutions to enrich conversations and debates in Antipode. This entry was posted on 2 April 2019 by Antipode Editorial Office in Virtual Issues and tagged a new political consciousness, anarchism, authority, autonomy, becoming-commune, Collectif Mauvaise Troupe, commoning, defending place, difference, economic diversity, France, French politics, geography, landscape, Mauvaise Troupe Collective, May 68, militant particularism, noncapitalism, Notre-Dame-des-Landes, occupation, occupy, possibility, real utopias, secession, self-determination, territory, the commons, the market, the politics of encounter, the state, value, zad, zone à défendre, zone to defend.